2016 Small Business Forum Oct 25th: Visit Booth #135 for Chance to Win #CCS2017 Tickets! CHANCE TO WIN FREE #CCS2017 TICKETS! NCFA Canada will be at the Small Business Forum 2016 at Booth #135. 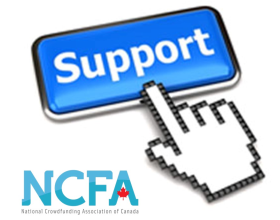 Come visit our Booth on Tuesday, Oct 25th and get your photo taken with the National Crowdfunding Association (NCFA) for an opportunity to win a ticket to the 3rd Annual Canadian Crowdfunding Summit (#CCS2017) on March 1st at the MaRS Discovery District. Visit our booth and let us snap a photo of you by the NCFA banner. We will post the photo to our Twitter and/or Instagram account and tag your company/organization.